Beautiful home in one of Beaufort's most popular communities. This 3 bedroom 2 bath home includes a gas log fireplace, refrigerator, range, microwave and dishwasher. Detached shed. 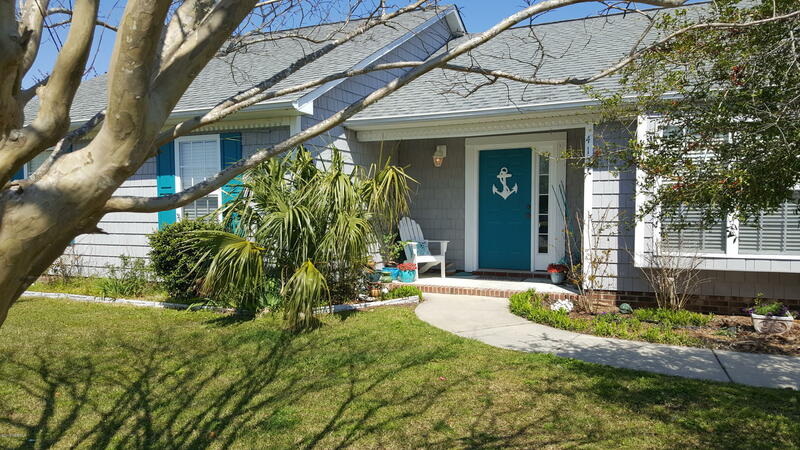 Close to schools, dining, beaches, shopping and Cherry Point. Roof repairs needed. Allowance for Repairs.Agent Remarks:. Agent must be present for all showings. Shown by appointment only.